Taking much of the pain out of using Wine, PlayOnLinux is a must-have application for any Linux gamer. Providing automated installation scripts for dozens of games – and a wide variety of other software including Google Sketchup Design & Build 3D Virtual Buildings & Objects With Google SketchUp Design & Build 3D Virtual Buildings & Objects With Google SketchUp Google SketchUp is the backbone modeling program for Google BuildingMaker, which allows graphic designers to submit building designs to Google to be added to the official Google Earth imagery. Read More , Photoshop and AutoCAD – this program is worth checking out if you’re dependent on Windows software but prefer Linux overall. Installing Windows software with Wine Run Windows Applications on Linux (or Mac) With WINE Run Windows Applications on Linux (or Mac) With WINE Read More never seems quite as simple as it sounds. Try getting your favorite software working and you’ll quickly discover that certain software works with certain Wine releases but not with others, and that a lot of software requires you first install Internet Explorer or manually find and install various DLLs. PlayOnLinux avoids this hassle by automatically doing everything necessary for you to run particular Windows programs on Linux. Want to install PlayOnLinux on your machine? It’s probably best to bypass your distro’s package manager altogether, as this program needs to be up to date in order to function. Head over to the PlayOnLinux download page and you’ll find instructions for just about every distro out there. Follow those instructions and you’ll be ready to start. You’ll find PlayOnLinux in your menu under “Games“. As mentioned earlier, the focus here is very much games. Titles supported include Spore, most of the Sam and Max series and CounterStrike. Browse the PlayOnLinux repository to see if your favorites are supported. One thing is for sure: you will not need to configure the software to install it. 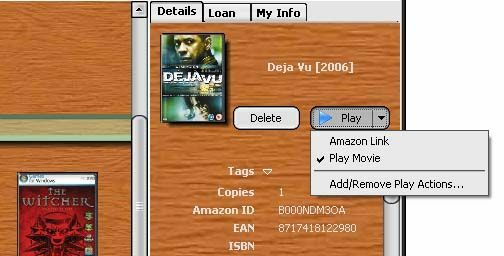 Everything a given program needs in order to work in Linux is automatically handled by PlayOnLinux. Whether it’s an alternative version of Wine, a collection of obscure DLLs or Internet Explorer, PlayOnLinux will take care of it. When you’re done installing a program, you’ll be asked whether you want to add a shortcut to your menu or desktop. If you’d rather load PlayOnLinux before launching a game, ignore this option; if you want a shortcut directly in your menu, select that option. You can now use your favorite software in Linux. There’s a good chance a game or piece of software you want to install isn’t supported by PlayOnLinux. This doesn’t necessarily mean it won’t work; it just means you might have to put in some manual work with Wine. This certainly isn’t for everyone, but if you want to jump in headfirst I highly recommend getting started by finding your software on the WineHQ database and seeing what you find. Does PlayOnLinux make it easy to install any of your favorites? Let us know below. Also feel free to share any wine-related tips you might have.